Commons Network director Sophie Bloemen will host a workshop on urban commons on Saturday (September 23rd) as part of the Euler Conference in Berlin. The workshop asks: is urban commons a buzz word, a real alternative or a utopian wish? Bloemen will host the workshop together with Lorenzo Tripodi. Traditional forms of education and training for employment are increasingly focused on chasing job market demand through specialisation. Meanwhile, a multiplicity of voluntary, self-organised, citizen-based initiatives is breaking new ground in experimenting with skills and competences. Local communities and neighbourhoods provide a fertile soil for innovative practices of sharing and caring, inventing alternative modes of production and economies, building new paradigms of solidarity and commons, developing forms of bottom-up city making and constructing their own narratives in the folds of global urbanisation. Such modes of learning outside formal settings (both informal and non-formal) have received much attention over the past decade, especially as a means to counter social and economic inequalities. Often innovative and successful in the short run and in response to a specific context, these practices struggle to find continuity, self-sustainability and produce radical change at different scales. 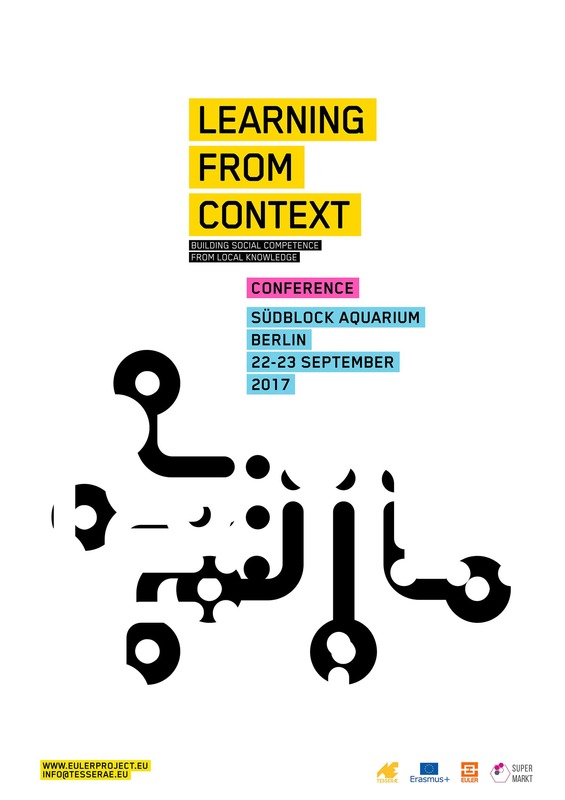 The Learning from Context conference aims at confronting and setting in constructive dialogue different experiences of urban education, knowledge exchange and capacity building. Read more about the Euler Project here. Keep up to date with all Commons Network activities by following us on Twitter. Want to meet us in person? We’ll be in Madrid in October for the Transeuropa Festival and the European Commons Assembly. Join us!